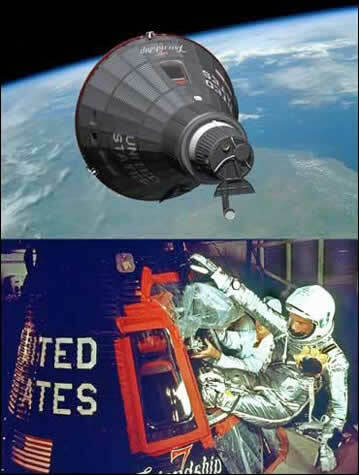 The Studebaker Avanti came along at the same time as the dawn of the space race - John Glenn became the first American to orbit the earth at the same time the Avanti was being test driven by the automotive press. By the time he was on the cover of Time magazine in 1962, the Avanti was bringing crowds of curious fans into previously lackluster Studebaker showrooms. 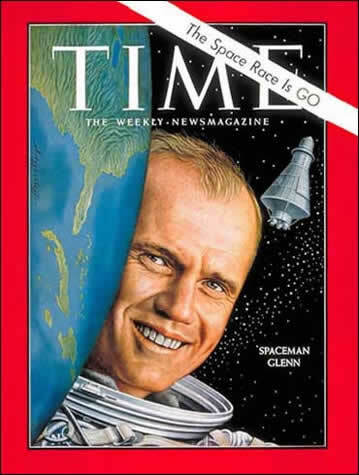 America's first space hero, John Glenn, on the cover of Time Magazine. Above: Freindship 7 in orbit over the Earth. Below: Glenn entering Friendship 7.